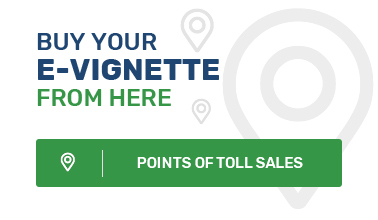 Which vehicles are subject to e-vignette fee? Vehicles intended to tow a semi-trailer are considered vehicles intended for transport of goods with over 2 axles, irrespective of the number of axles and of whether the trailer is attached or not. When the vehicle is with a trailer and when the total technically permissible weight of the composition exceeds 3.5 tons, an additional vignette fee is to be paid for the same vehicle category in respect of the trailer.